As healthcare costs rise, we explain why VIE Healthcare® Invoice ROI™ technology is innovation in data analytics. US spend per capita on healthcare exceeded $10,000 in 2017 and healthcare consumption now represents 17.2% of the country’s GDP. With future increases predicted, the onus is on hospitals and healthcare institutions to deliver greater margin improvements and take control of spiralling healthcare costs. “‘As a general principle…about one third (of hospitals) have margins that are above zero, probably about one-third of hospitals are pretty close to zero…. and about one-third are running in the red,” explains Gary Young, Director of the Center for Health Policy and Healthcare Research at Northeastern University. Purchased services spend is one of the most overlooked opportunities to drive margin improvement and reduce spending. The issue is that the majority of hospitals struggle to monitor and manage the high volume of supplier contracts, let alone evaluate them. At VIE Healthcare® our extensive frontline expertise has enabled us to develop and utilize a proven process to identify, analyze and deliver significant cost savings in hospital purchased services. We have now transformed this proven strategy into a technological process and patented the process as our Invoice ROI™. Invoice ROI™ is an automated process developed by VIE Healthcare® to manage your purchased services spend. Invoice ROI™ offers invoice reconciliation, contract optimization, business intelligence and an analytics platform with real-time contract reconciliation and benchmarking performance provided on a monthly basis for outsourced services. Purchased services spend can comprise as much as 40-50% of a hospital’s non-labor spend. These costs cover areas such as dietary, housekeeping and waste management. For example, in our experience, most hospitals don’t have an accurate understanding of this significant portion of their budget, yet it can represent millions of dollars in potential annual savings. 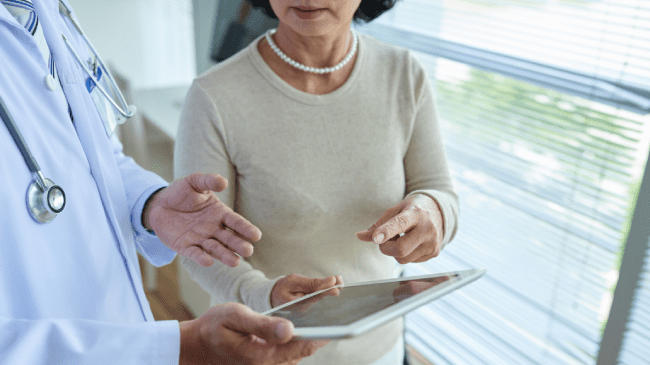 Gaining clarity of your purchased services spend can improve patient care and satisfaction as well as drive efficiencies and margin improvement. 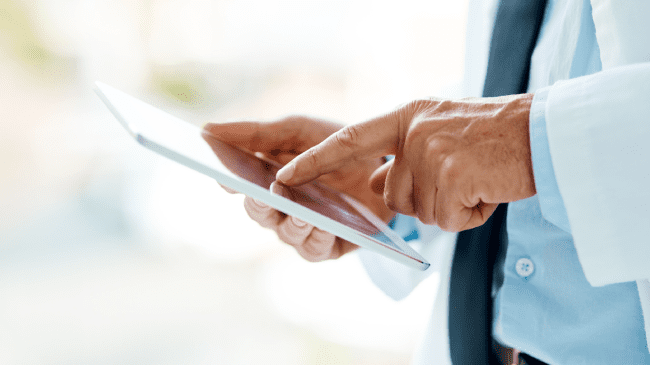 Invoice ROI™ empowers your hospital to track these costs in real time and compare them to historical data to deliver actionable intelligence. Full visibility of that data enables us to understand your hospital’s spend history and can be used to make significant cost savings, improve your margins, track purchased services spend and monitor ongoing performance. Traditionally, benchmarking is used to evaluate how a hospital is performing compared to its competition in order to identify improvement. In our experience, hospitals move to benchmarking, optimization and variation before carrying out an essential line item analysis, often missing significant opportunities for cost savings. Our unique approach always begins with reconciliation, examining each agreement and carrying out a deep dive into the past 12 to 18 months of your invoicing data. This line item reconciliation reveals the potential hidden costs contained in your invoices which are often the result of pricing errors and off-contract spend that your hospital might not be aware exist. It also allows our experts to identify trends in utilization that can further increase your costs. Prior to the launch of our Invoice ROI™ technology, this task was carried out manually. All line item data was entered accurately onto spreadsheets. Line item analysis is the most critical part of the entire process and is essential to drive significant savings. The results we achieve through line item analysis cannot be achieved with Accounts Payable (AP) spend. While AP can be categorized in a shorter timeframe, it provides only directional, high-level category information that lacks the detail and analysis essential to drive improvements in your purchased services spend. These invoiced line item details are also generally not available in hospital material management systems. In these cases, agreement structures are often complex and, consist of different tier pricing, particularly when dealing with multiple vendors. These six areas represent a high-value potential for cost savings opportunities but also present challenges to hospitals attempting to reconcile monthly invoices to vendor agreements. Not only are these savings huge and easily achieved, but they also have no negative effect on the operation of the hospital. Most hospitals believe they are “stuck” with their purchased service agreement provided by their vendor and accept a 3%-5% price increase each year without question. The truth is, that closely scrutinizing your purchased services agreements and renegotiating market competitive rates will reap significant savings for your hospital. It makes a tremendous difference to the overall impact on your hospital. With accurate, enterprise-wide purchased services spending data, health systems can easily view spending trends and identify potentially rogue vendors. When eliminated or renegotiated, cost savings of 5-10% are easily achievable, but imagine the impact of a 15% expense reduction on a $40 million purchased service spend. That is $6 million. This enables a pro-active monthly management of the outsourced and purchased service spend for our clients. When we review a purchased services agreement, we examine the invoices and review the contract. Invoices are then matched to contracts in order to understand utilization and reimbursement. If possible, we then benchmark and go to a very granular level. If price alone is examined, it will not be optimized. Data analytics solutions reveal hidden insights in the field of healthcare and this is particularly true of purchased services spend. Our Invoice ROI™ technology enables hospitals to examine and reconcile invoice data, reveal trends and be able to benchmark while providing real-time reconciliation and optimization insights. With an in-depth examination of hospital spend, Invoice ROI™ combines line details with other data inputs that identify trends, variations, quality and utilization improvement opportunities for pro-active monthly management of outsourced purchased services spend. Invoice ROI™ technology from VIE Healthcare® enables your hospital’s supply chain team to build a funnel of cost-saving projects and successfully execute those savings on their own. This line item analysis equips your hospital with an efficient method of monitoring and tracking your purchased services spend. Your negotiating position with vendors is thereby strengthened, while long-term supplier relationships can be established with confidence. Volume of data: Every month hospitals are faced with hundreds to thousands of line items on invoices which require review for multiple vendors. Lack of detail: Summary invoices are often provided, lacking the supporting detail which is essential to comprehend and analyze your purchased services spend. In our experience, different line items can often be trapped within the invoices themselves. A shift in invoicing: Purchased services invoices are unique, presenting a significant challenge compared to invoices received for traditional stock items. This shift in the way services are invoiced requires trust between the hospital and their suppliers. Complexity: Due to the complexity of charges and the way in which services are invoiced, a high potential for billing errors exists. These errors are often overlooked because the price increase may only fluctuate by 10% compared to the previous month. Far too often, this increase is absorbed often without question. Another common issue is reviewing spend on a 12-month basis. A review of 12 months may show that $75,000 was spent, but a line item analysis would reveal that the previous three months had been trending up 30%. This detailed information affords the ability to accurately project and control future costs. Hospitals and health systems are coming under greater scrutiny as they face increasing pressures to deliver high-quality patient care while staying financially viable. When a purchased service is correctly benchmarked, appropriately contracted and effectively managed, a hospital can realize meaningful savings that can be passed on and used to improve patient care.